If you’ve read my previous blog post, you’ll know how Neil and I planned our much-awaited trip to the Maldives. 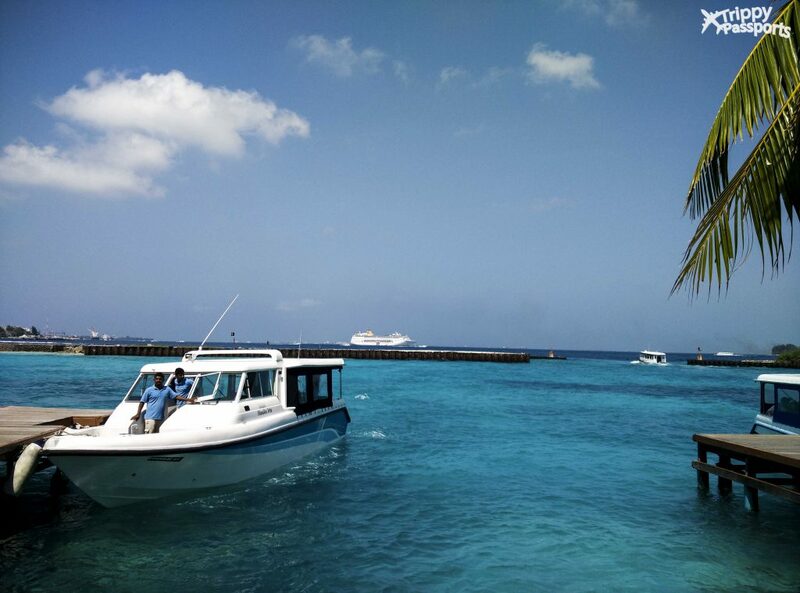 Eriyadu Island Resort, Maldives, that we finally chose for our stay, had informed us that they would have a speed boat ready for our transfer from the airport to the island on the day of arrival. Even though that was sorted, I was wondering if we’d have to hire some kind of transport to get to the jetty with our luggage. The view right outside the airport not only answered my question but also managed to take my breath away. The airport was located at the edge of the Male island, giving easy access to the speed boat pick-up point (and possibly making a lot of people, including me, go weak in the knees with that view!). It didn’t take us too long to spot Eriyadu’s representative at the airport. Almost all island resorts have their own little counters near the arrival gate and it’s just a matter of looking around to find yours. Without further delay, we hopped onto our speed boat, hoping more people would travel along. But it turned out to be just the two of us, and after an hour of a nerve-wracking, back-breaking ride, we were dropped off at the jetty on Eriyadu island. I have to admit it was one bumpy ride because of the ocean waves, but I wouldn’t trade that rush of adrenaline for any other mode of transport! Our first view of the island and the resort was stuff dreams are made of – pristine blue water kissing the soft, white sand on the shore and lush greenery to complement that colour palette. 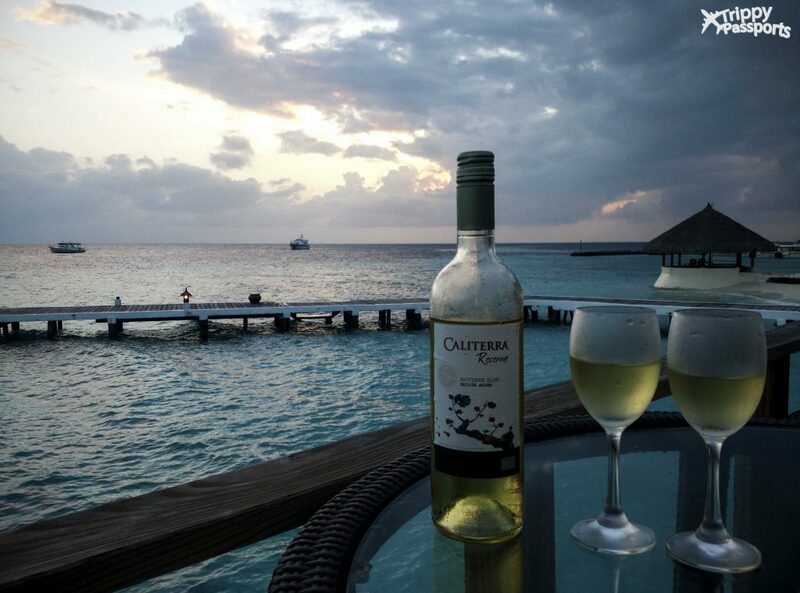 The next 6 days we spent on the island were nothing short of a beautiful dream coming true. Here are some of the highlights of the unforgettable time we spent there. This had to come first! The Maldivian islands are blessed with an abundance of marine life, and to be there and not experience it, is a loss of a lifetime, if I may say so. At our resort, we could hire snorkeling gear for about USD 11 for an entire day. As you can imagine, most of our time was spent in water. 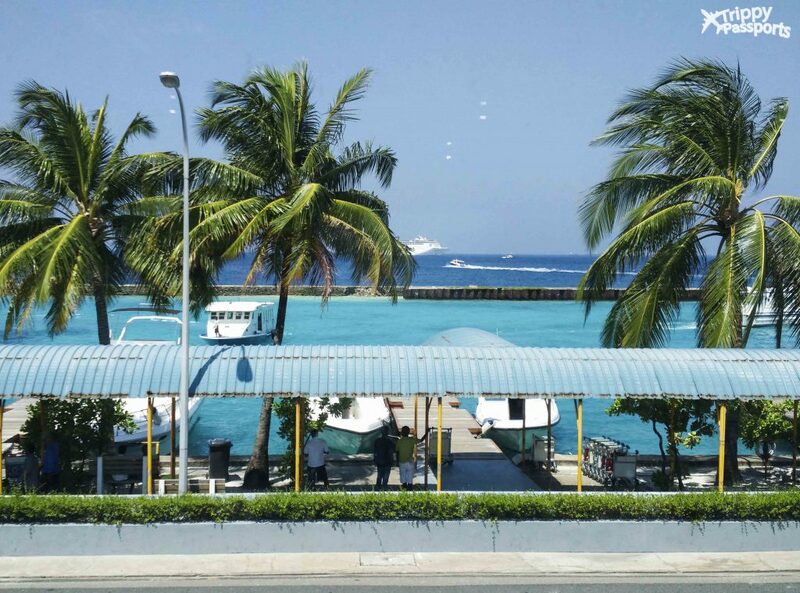 The impeccably maintained house reef at Eriyadu demanded it! But we wouldn’t have had such an amazing snorkeling experience, had it not been an Austrian lady, Elisabeth, who we happened to meet at the beach. Elisabeth is a seasoned snorkeler, who visits Maldives every year and always puts up at Eriyadu. 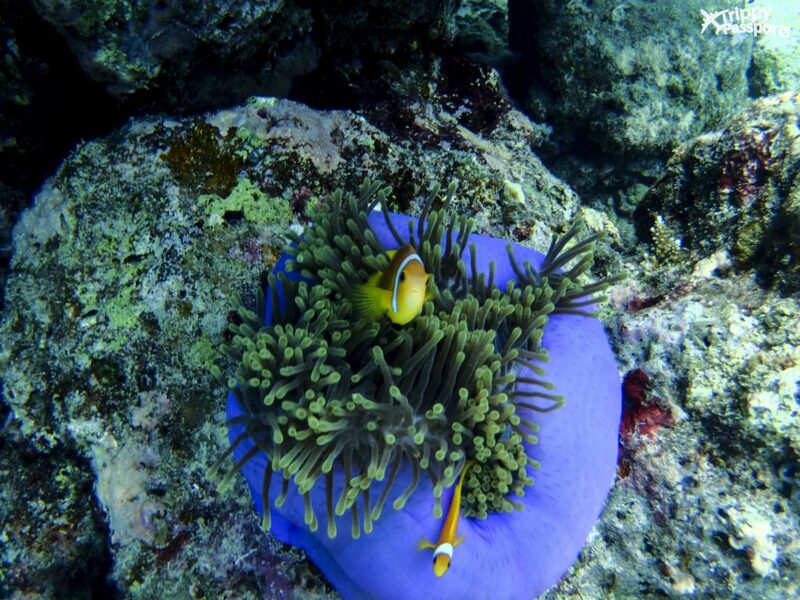 By virtue of that, she knew every nook and cranny of the house reef and could exactly point to the places housing the most amount of marine life. Not only that, she went out of her way to guide us on a snorkeling trip to the best spots, and what we saw transported us to a different world altogether. 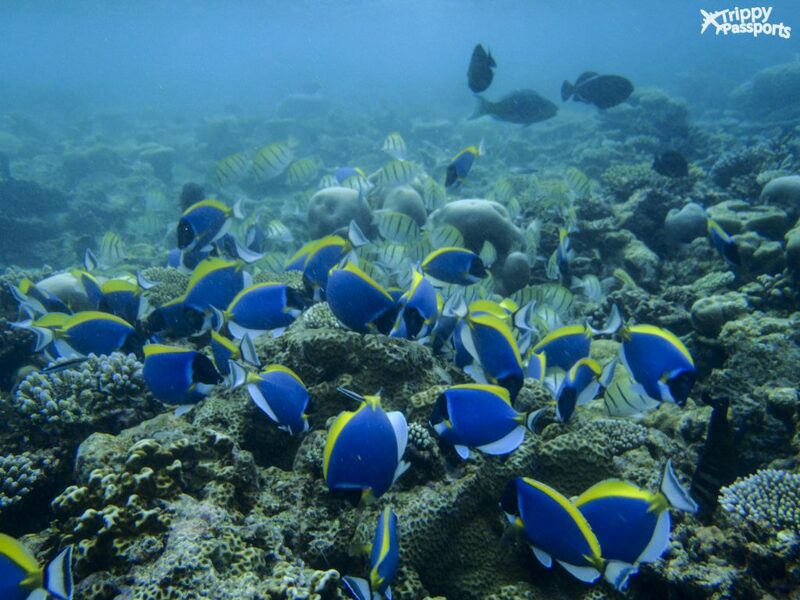 Swarms of fish in every color imaginable, baby White Reef Sharks, Sea Turtles – you name it, and they were there. Tip: Do not forget to carry a waterproof sunscreen with SPF as high as 60-70. You’ll need loads of it! This is a slightly tricky subject to talk about since everyone has different opinions and tastes. 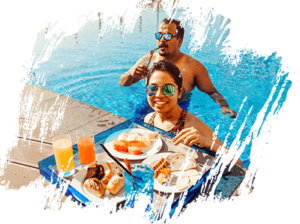 But almost everyone we asked, suggested that we opt for the ‘All Inclusive’ food & stay package at Eriyadu, or whichever island resort we choose. That would mean paying an amount that would not only include our stay but also cover all food and drinks. Now, here’s the catch. Food includes the buffet spread at the in-house restaurant, and drinks include all non-alcoholic beverages(juices, aerated drinks) and a few selected alcoholic ones (no cocktails included). After much thought, Neil and I decided against it and opted for only stay and breakfast. Our logic was that, firstly, we are not big on non-alcoholic beverages – we do not necessarily need an unlimited supply of juices flowing in all day. More importantly, even without opting for the ‘All Inclusive’ package, we could still access the lunch/dinner buffet as and when we wanted to, by paying upfront. Alternatively, we could always fall back on the a la carte menu. The idea was to keep our options open. We decided to check out the buffet dinner the day we reached. There was a reasonably good spread of vegetarian & non-vegetarian food, but it wasn’t something we would want to keep coming back to. From the next day onward, we chose to go a la carte for all lunches and dinners. That seemed to work out much better for us since we could pick and choose what we wanted. But if you are the adventurous kind and want to explore local Maldivian delicacies, read about them here. Since I’ve spoken so extensively about food, it would be unfair to leave the drinks out. Eriyadu had 2 full-service bars, serving a variety of delicious cocktails – one on the beach, and another one adjoining the pool. Average cocktail prices were USD 12-14, which seemed to be the standard rate across several resorts. But more than the cocktails, it was the main bar at Eriyadu that I fell in love with. What a stunning little place overlooking the vast expanse of the Indian Ocean, with no other land mass sight, as far as the eyes wander. If there was one spot at the resort where I could sit all day and feel completely at peace, it would have to be at this al fresco bar. In addition to these humbling experiences and of course the natural bounty, what’s the bonus you ask? 2. Indians get Visa on Arrival, so no need to worry about applying for a visa in advance! The description is fantabulous…you can surely win hearts. Such a good description. Maybe once I will switch from a budget trip to a resort trip. The resort looks so lovely, and the snorkeling spots look so colourful. Love the turtle photo! Wow! Great destination! This looks like heaven on heart! Wow!! I lobe all your photographs to Maldives.. i am an admirer of greens and blues and your captures justify every inch of wanderlust in me. Thanks for this brightly colored post. In my travel list. I love to visit here. Gosh ! your photo really tempt me. Yes, Maldives are an official must go! Love this, such a push to finally make our trip happen. I have never heard of this place! Now I need to go! I recently went to Cozumel, Mexico and snorkeled for the first time! This place is just as breathe taking! Oh that looks idyllic- your photography is beautiful. Oh my goodness, that water is beautiful! I wish I could be there right now! Beautiful photos loved all the information. Got travel envy for sure! Aww I am so jealous now! I can’t wait to go to Maledives one day and stay in such a pretty resort. The water looks so faboulous and all that sea life during snorkeling! Just amazing! Good to know about this all include deals. I do agree they now always the best option but I am glad you guys work it out perfect for yourself . Great photos ! Not that I wasn’t in love with the Maldives before, but you’ve made me fall in love all over again. The natural beauty is something that can’t be bought. Definitely on my bucket list. My husband would love it. Seems to be a good resort with some really wonderful activities around as well. The bar area and the location look wonderful as well. 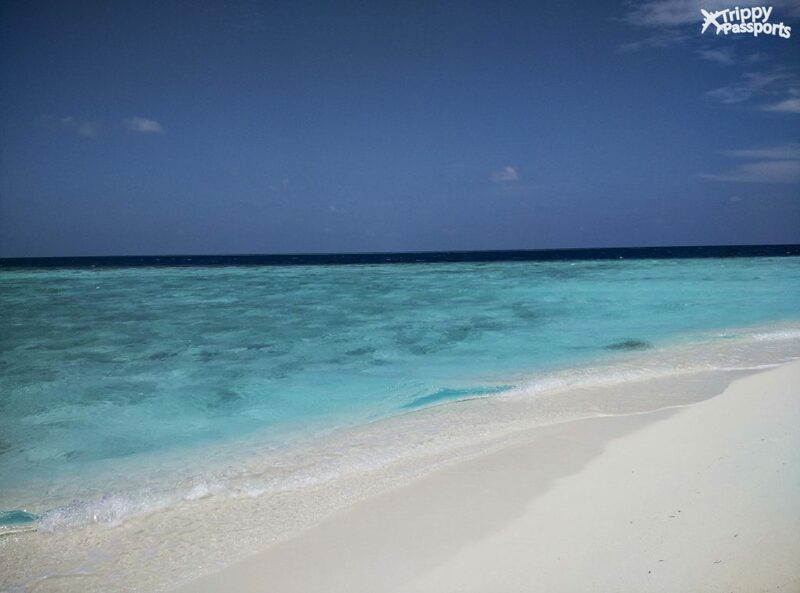 And the beach is just perfect..what you would expect of any Maldives beach. I completely agree with you that snorkeling has to come first! 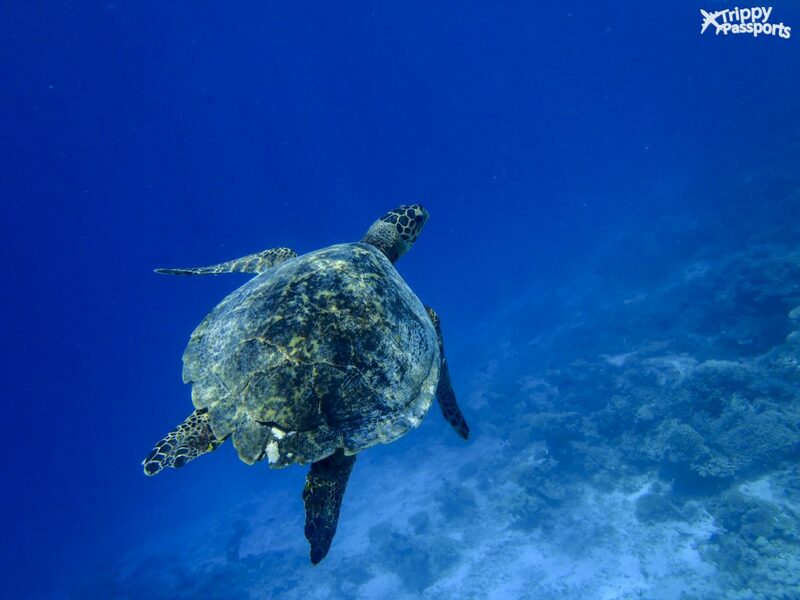 Those fishes and sea turtles are incredible. I previously wasn’t extremely keen on Maldives though as I’ve heard mixed reviews. But just for swimming with sea turtles, I’m down for it!